It's about time you keep tabs on these cuties. Another week, another time for stalking celebrities! Hee hee. We've rounded up seven brothers of famous celebrities you should start following online. You may have heard of some of them already, but we think they're not getting the kind of attention they deserve...yet. Read more about Diego in Candy's September 2015 issue—he's one of this year's Candy Cuties! 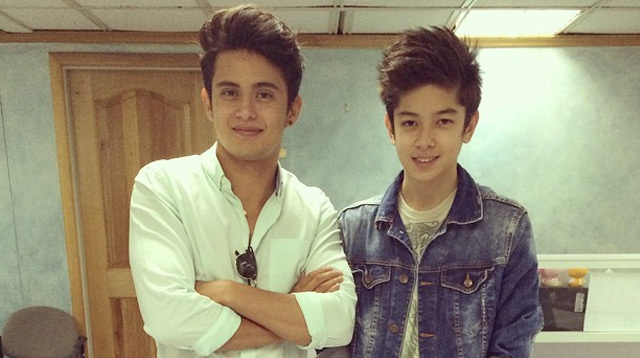 Better brace yourselves for James' younger bro who's as charismatic as he is. Jack, who's also one of this year's Candy Cuties, is already under the management of Viva. Avid fans of the High School Musical alum may remember Dylan because his older bro brought him to several red carpet events—but he was still a wide-eyed youngster then. Dylan is famous for the poem he wrote about his celebrity brother called A Brotherly Thing. Read it on Zac's Instagram account. The world first took notice of Emma's younger bro when they graced a Burberry campaign together. Alex is busy posing for photographers and magazines these days. Doesn't Eric look familiar? Blake's bro already appeared in a few films like The Butterfly Effect 2 and American Pie. He's also accompanied his sister a few times on the red carpet. Can you spot the resemblance? How do we know Austin? If you're a Swiftie just like us, then you must have followed Taylor's social media accounts and have seen her posts featuring her younger (very, very hot) bro. Bella and Gigi's younger bro recently got featured in Seventeen where he talked about having such lovely sisters. However, we can't also help noticing what a cutie Anwar is!